Kimi Raikkonen does not know how long it will take to fix the issues he is having getting comfortable with the set-up of his new Ferrari Formula 1 car. The Finn endured a troubled time at last weekend’s Australian Grand Prix as he struggled with the handling of the new F14 T, especially under braking and corner entry. His problems were further exacerbated in the race by front tyre graining, which led to a number of lock-ups. Ferrari and Raikkonen are working on fixes to the way the energy recovery systems impact on the car’s handling, but the 2007 world champion admits that things are unlikely to get better immediately. “We know more or less what we want to do, but some things are not happening overnight,” said Raikkonen. “It takes time to produce certain parts, or to have a certain way of putting the things on. “We also cannot promise that it is going to fix the issues once we get something that we want. “I have been in these situations before and sometimes it takes a while. “Unfortunately it is not the easiest position right now, but looking at how difficult everything was, we got everything out of it. Ferrari team principal Stefano Domenicali reiterated that the team is doing everything it can to help Raikkonen, and he hopes progress can be made in time for the next grand prix in Malaysia. 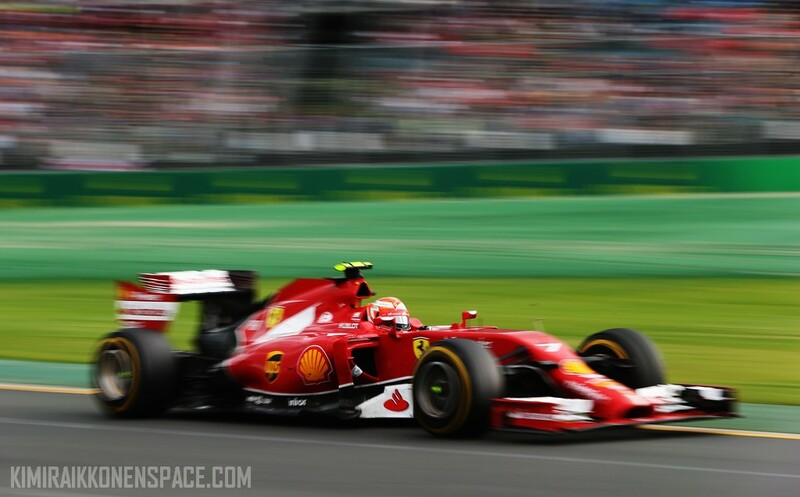 “We need to help Kimi try to find the right balance in the car,” he said. “He deserves that. “There was an improvement [this weekend], but we are still not where we want to be. I found Mark Slade on linkedin, and I write him to help Kimi in Ferrari. He is the one who know how to setup oversteer car..not like beginner Antonio Spagnolo (watching the video I also angry with him).